PACCSA members make an enormous contribution to the Laurel Mountain Volunteer Group's work each year. 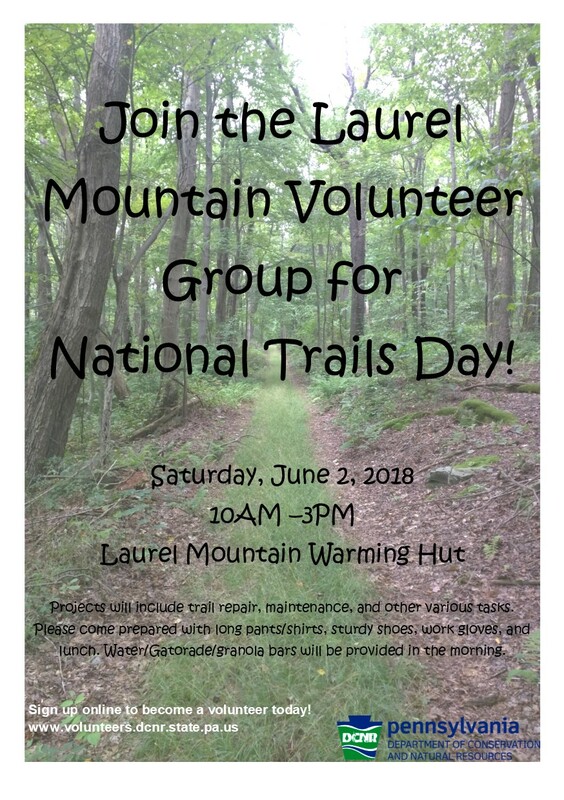 The Laurel Mountain Volunteer Group is formed of several outdoor organizations who enjoy recreation at Laurel Summit and Laurel Mountain and are willing to help to maintain and improve those places for everyone to enjoy. Typical tasks are cutting back weeds, repairing trail damage from water, removing fallen branches from the trails and weatherproofing buildings. Watch for more information on the events page or find DCNR on facebook. Register as a DCNR volunteer here to save time on the day and receive email updates.